Event planners, conference organizers and social directors are expected to “make events fantastic, well organized and a great learning experience so attendees talk about it for months and come back next year”. Not an easy list whether you are expecting 200, 2000 or 20,000 attendees. We work with planners and organizers who take prioritizing and detail to a new level. We also work with those who suffer from stress and frustration because of high maintenance speakers who don’t do what is agreed. Organizers can spend excessive amounts of time babysitting or hand holding the speakers who are supposed to perform well to make the event successful. Our clients appreciate the fact that we are self-sufficient and most of the work is done before they contact us. Some speakers act like prima donnas who expect planners to read their mind, coordinate around them and accommodate all their wishes – all they should do is “show up”. Our approach is that we can and should make life easier for planners – confirm the date, location, topic so the audio visual requirements, biography and session write up can be sent over. Voila!! From an event planning standpoint, Pam is self-sufficient and always meets deadlines. I would strongly recommend booking Pam for your event. We worked with a client who continuously had bad experiences with speakers . Her previous speakers did everything from delayed promotions due to late biography, photo and session description to last minute requests for flights, limousine and hotel preferences. The last straw was 2 hours on the phone and responding to e-mails to walk a speaker through details and instructions. When she hired us, we discussed roles and expectations so everything was clear. She provided the date, time, location, logistics and topic, we provided the bio, photo and write up. We also agreed to coordinate “our” travel and research “our” participants and industry to guarantee relevance and accuracy. After the event we discussed the great evaluations. 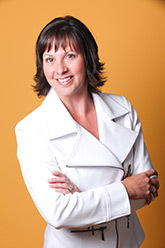 This planner could not stop talking about how easy it was to work with us and the rave reviews she received from the attendees..
Pam Paquet is a registered member of the acclaimed Canadian Association of Professional Speakers (Manitoba Chapter) and travels internationally to provide keynote speeches and concurrent sessions. Pam holds a Masters degree in Education and a Bachelors degree in Psychology. Her focus on the “psychology of people” and her insight into the “people side of business” help her inspire, motivate and teach strategies for change. Pam has the ability to capture and hold the attention of her group while she shares motivational stories, insightful perspectives and innovative strategies for change. Her enthusiastic and engaging style promotes better workplaces and creates happier, more productive staff. She tailors each speech to fit the group and commits to current research and learning. She will be sure to create an experience for your event that is motivating and memorable. Look below to see some of the keynote topics that we specialize in and can tailor for your group. Click on each topic for more information and learning objectives.